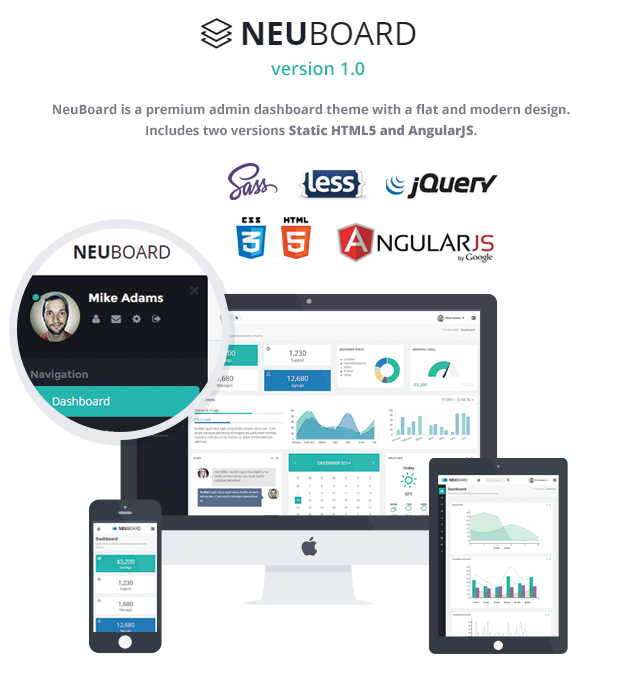 NeuBoard is a premium admin dashboard theme with a flat and modern design. It is a fully responsive theme built with AngularJS, Bootstrap 3, HTML5, CSS3, and Media queries. It can be used for all types of web applications, dashboards, and content managements systems. Item Reviewed: NeuBoard Responsive Admin Template Bootstrap 3 + AngularJS 9 out of 10 based on 10 ratings. 9 user reviews.